The MUVO 500ml Ultra Blonde Conditioner assists in eliminating yellow tones while leaving hair more manageable and vibrant. 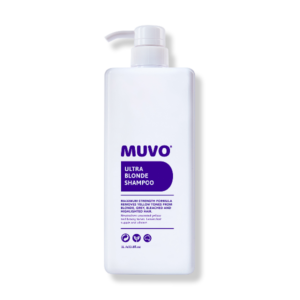 It helps in removing unwanted yellow and brassy tones from blonde, grey, bleached and highlighted hair. 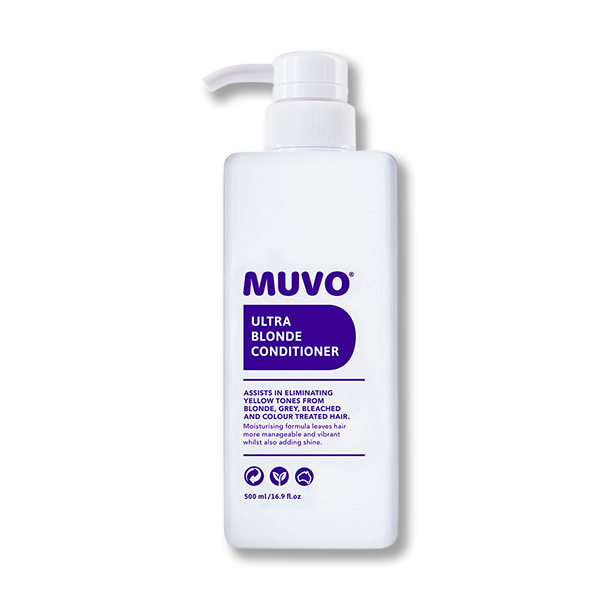 This hydrating formulation is enriched with maximum strength and violet dye to ensure optimum toning. 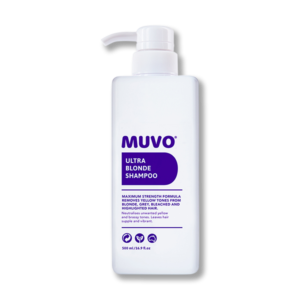 Usage: After shampooing with MUVO Ultra Blonde Shampoo squeeze excess water out of hair and apply product. Massage deeply and leave on hair for 1-3 minutes. Rinse thoroughly. Use once or twice weekly or as required to control brassiness. Product may stain absorbent material.